Coventry Village is excited to announce the launch of a new evening event series on the last Friday of each month! Final Friday will feature an all night happy hour at participating bars, discounted shopping at local merchants, open art studios, theatre openings, live entertainment and engaging activities for all! Come, be a part of a vibrant and creative evening like none other. Schedule and details to follow. Join us in Coventry with local artist Kristina to make an 8oz custom scented soy candle and canvas! Tickets are $35 and you can bring your own bottle of wine with a light snack or dessert if you desire! Class size is limited and fills up fast! Pre-registration is required *Class will start at exactly 6:30pm, if you are more than 15 min later we will ask you to pick a pre-made 8oz candle from the wall instead of making a custom candle. Thanks for being respectful of both our artists and fellow classmates time! Can’t wait to see you there! 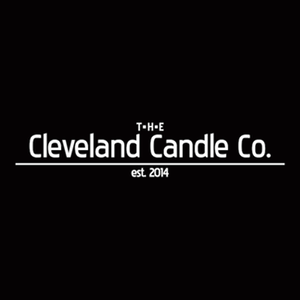 In the event of a cancellation made by any individual or party other than The Cleveland Candle Co., refunds will not be issued. Cancellations made more than 72 hours prior to the event may receive a Creative Class credit equal to the value of the original class ticket purchased, to be used for a future Creative Class. Discounts available at Attenson's Antiques & Books, Mac's Backs Books, and more! Join us in Coventry with Kristina to make an 8oz custom scented soy candle and essential oil lip balms (8-10). If you love lip balm you’ll love this class as you will get to see how they are made and what ingredients go into the things you put on your lips! Tickets are $35 and you can bring your own bottle of wine with a light snack or dessert if you desire! Class size is limited and fills up fast! Pre-registration is required *Class will start at exactly 2pm, if you are more than 15 min late we will ask you to pick a pre-made 8oz candle from the wall instead of making a custom candle. Thanks for being respectful of both our artists and fellow classmates time! Can’t wait to see you there! In the event of a cancellation made by any individual or party other than The Cleveland Candle Co., refunds will not be issued. Cancellations made more than 72 hours prior to the event may receive a Creative Class credit equal to the value of the original class ticket purchased, to be used for a future Creative Class. 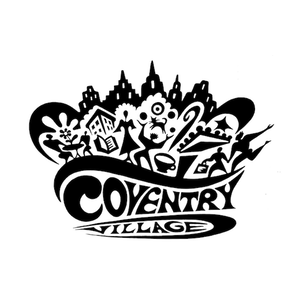 Join the merchants of Coventry Village as we celebrate Star Wars Day, this year, on May The Fourth! We'll transport to a galaxy far, far way for day full of FREE family fun, music, games, Star Wars characters, costumes, prizes, bar crawls and more. More info and full schedule announced soon! College ID Night starting at 10PM with College ID. $5 Long Islands, $2.50 Tall Boys. Magic Galaxy Entertainment has teamed up with Panini's Coventry to bring you the Best Mid Week Karaoke Show Ever at Panini's!! Every Wednesday Night 8 PM - Midnight. Mondays & Tuesdays. Kids 10 and under eat for only $3.00. Certain restrictions apply. Call for more details.